I’m Excited about AFF 2014. Really. Gee, I wonder where I can get all these Indonesian stuff on any Nike store in Indonesia…because I have checked stores in Jakarta and all they have are Barcelona and Manchester United. Tonight, Southeast Asian football will look at itself. For the next one month. The ASEAN Football Federation (ASEAN is Association of Southeast Asian Nations) Championship begins tonight with Philippines vs Laos. Of course, nobody will actually see that, so we move on to the proper opening match featuring co-host Vietnam taking on my country Indonesia. Tomorrow Malaysia will face Myanmar while the real match of the day would be between Singapore and Thailand. All the way to the second leg final on 20 December 2014, five day before Christmas and at the same day with the 2014 FIFA Club World Cup Championship final. So it’s a double treat for the winning nation (I really can’t think of anyone, really). Philippines and then Real Madrid. That one-month long tournament idea it’s just stupid. I blame Nike. And Suzuki. And Fox Sports Asia. We can have the whole championship wrapped up just in two weeks but this is as long as the World Cup. In 2010, the prolonged tournament was a recipe for disaster for Indonesia. Indonesia did well, then president Susilo B. Yudhoyono watched Invictus and thought of himself as Nelson Mandela (Irfan Bachdim became Matt Damon) and showed up to the playoffs, effectively ruining Indonesia’s morale and integrity. I apologize, though, for blaming Nike. Even Nike Indonesia does not take this tournament seriously. Yesterday I went to the mall and saw a display of #RiskEverything with Irfan Bachdim and his tattoos (2014 appearance for Ventforet Kofu: 0) but the Nike store had only few away shirts, probably leftover from last season. No polo or jacket or cap. In contrast, from the same mall’s Adidas outlet I have collected Japan’s jersey, t-shirt, jacket, cap, and backpack. All I have to do is wear them all and be like Joey Tribbiani. This picture has nothing to do with Asian football. How could the “football crazy” Indonesia cares little about the Red and White? That’s because Nike Indonesia cares little about it. That’s because the football crazy Indonesians care more about Germany, Manchester United, Barcelona, and Juventus (and Japan, in my case). That’s because we don’t think we’d win the championship, even as we are crying war. Then again, maybe so our neighbors. So I assure you, not just Nike Indonesia (and their customers) cares about the lack of availability of Indonesia merchandises, we also don’t care about the other teams. Enemies. Opponents. Foreigners. Sports tabloids and newspapers can write a little about “players to watch” and predicted lineups, but don’t expect too much from television. So, I take the responsibility to educate my fellow Indonesians a little about teams that Indonesia will defeat and that will defeat Indonesia, and to give an introduction to the world on Indonesia and other Southeast Asian teams. Surprisingly, the ones with Japanese touch. Maybe Vietnam have taken its rivalry with China to a new level. Coach Toshiya Miura had experiences with Omiya, Sapporo, and Kobe in the 2000s. Their female supporters can be the most visible and enthusiastic ones, and the host advantage can be with them. The Ace: Le Chong Vinh, number nine. Experienced unsuccessful stints with Leixoes in 2009-10 Primeira Liga (they were the worst team) and Consadole Sapporo in 2013. Did not score in 2012 championship, though. The Foreigner: Mac Hong Quan. Born in Czech, he was with Sparta Prague B before moving to Vietnam in 2013. Still an underachiever. Problem Child: Dinh Thanh Trung. Left Hanoi over dispute, he played in Division 2 last season. The perpetual dark horses, Philippines grew from one of the worst teams in the region (and Asia) into a feared one, thanks to half-Filipino players recruited from Europe and United States. They became fine footballers and decided to play in the United Football League and dating models rather than busting their asses in European lower leagues (they still can date models there, right?). If they still can’t reach the final, blame UFL. O yeah, their coach is Tom Dooley, one of my heroes when I supported United States in early 1990s. Foreign-based players? Several. Goalkeeper Ronald Muller in Servette, captain Rob Gier in Ascot United, Jerry Lucena in Esbjerg, and Martin Steuble in Sporting Kansas City. Until they will play in UFL and get cozy. The Ace: Mark Hartmann, who scored 27 goals this season with Global. Might overshadow old favorites like the Younghusband brothers. The Foreigner: Most of the team, but the peculiar ones would be defender Daisuke Sato and midfielder Misagh Bahadoran. The Problem Child: Surprisingly nothing, but expect them to argue with the referees and challenge other players with combative gestures. Indonesia can’t let go of the big country syndrome – since we have so many people and have the biggest area, we have to be the biggest bully of the block, right? I hope new president Joko Widodo can help the team concentrate now and let publicity takes the back seat. 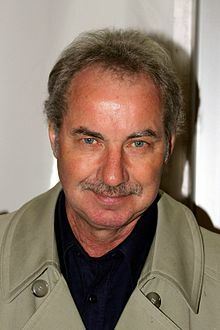 Austrian coach Alfred Riedl worked for Vietnam again and again from late 1990s to mid 2000s. If Indonesia makes a rip-off of Cantabile, he’s very suitable to play Franz Stresemann. Foreign based player? Sergio van Dijk, once an attraction of A-League, plays for Suphanburi in Thailand. The Ace: Uruguay-born Cristian Gonzales, consistently one of top scorers in Indonesian Premier League and has good record with Indonesia. At 38, however, he’s getting fatter and fatter. The Foreigner: Besides those two, there’s the Nigeria-born defender Victor Igbonefo. Problem Child: Being a stereotypical stern Austrian, Riedl omits Irfan Bachdim and night club regular Diego Michiels from this team. Unfortunately, he also omits IPL 2014 MVP Ferdinand Sinaga, who I believe deserves a forward spot better over van Dijk. The Poland/Greece of Southeast Asia – you’ll need to copy and paste their names rather than typing. The lovable losers who survived the qualification run. Coached by English Dave Booth, a veteran of Indian football (and Grimsby Town’s 1973 Player of the Year). Foreign-based player: Soukaphone Vongchiengkham (pasted) plays for Thai Division 1 club Saraburi. The Problem Child: None as far I know. The defending champions and eternally an annoying shrimp for its larger neighbors, at least in football. They are expected to reach semi finals, at the expense of neighbors and rivals Malaysia. They are now the only team to have an ethnic Chinese footballer. Foreign-based players: LionsXII, where most of the players work for, compete in Malaysia Super League. Other than that, Hariss Harun plays for Johor and captain Shahril Ishak, 2012 Championship MVP, is in Johor II. Baffling, no? The Ace: Khairul Amri, on his tenth year with the Lions and scored four goals in the 2012 Championship. This year he’s the top scorer in the Malaysia Super League who is not a Brazilian or Argentine. The Foreigner: For the last ten years, Singapore had been powered by naturalized players from England, Nigeria, China, and former Yugoslavia. Not anymore. Gabriel Quak, on the other hand, becomes the first Singapore-born ethnic Chinese who’s good enough for the national team since Goh Tat Chuan played in early 2000s. Ironically, in Chinese-majority Singapore, his name and feature are unique for Singaporean football. Maybe just like Hugo Lloris in France. The Problem Child: Khairul Nizam, brother to Khairul Amri, served eight matches ban in 2010 for brawl against Beijing Guoan Talent players. Another favorite for the championship and have to decide who they hate most – Singapore, Thailand, or Indonesia. Coached by Dollah Salleh, the legend of late 20th century’s Asian football. If Singapore are the team to feature a Chinese player, this is the one to support if you’re into Indian footballers. The Ace: Indra Putra Mahayuddin. A favorite of 2000s, he disappeared from international football scene and stages a comeback this month. The Foreigner: Malaysia has never naturalized any foreign star or a foreigner with Malaysian background, although they had accepted few Muslim Burmese in the past. The Indian Malaysians I talked about are Gary Steven Robbat and Kunanlan. The Problem Child: Safee Sali. He’s a nice guy who’s got into some troubles several times. The first Malaysian who played in Indonesian Super League, he was promised number 10 shirt at Persija Jakarta but got number 55 instead. A somewhat working analogy of his time in Indonesia is like a Japanese star who plays in K-League – both Indonesians and Malaysians are okay with it and he was not heckled, but both parties saw him as tainted. In 2014 Johor almost handed him over to Selangor, but eventually he stayed with Johor. Difficult spellings too, but hey, it’s essential to remember their names. Traditionally seen as the big boss of Southeast Asia, they are in crazy and unstable forms in this century. This week they defeated New Zealand 2-0 but lost all their qualifications matches for Australia 2015. Like Malaysia, they entrust the national team to a national hero, Kiatisuk Senamuang – who scored 70 goals for Thailand from 1993 to 2006. The Ace: Kawin Thammasatchanan, best goalkeeper of the 2012 edition and one of the most formidable goalkeepers in Southeast Asia, standing at 185 meters (6 feet 1 inch). The Foreigner: Charyl Chappuis, formerly a reserve player in Grasshopper Zurich and a member of Switzerland winning team at the 2009 U-17 World Cup. He graduated from Thailand U-23 last year and scored his first senior goal this year against Kuwait. The Problem Child: Thai generals. I really want to support Thailand but if they do good, the generals will take credit for the “happiness”. So, that’s the preview of eight teams competing in AFF Suzuki Cup 2014. As I’m writing this conclusion, Philippines have overturned a 0-1 shock from Laos into a 2-1 lead. Please enjoy this feat of Southeast Asian football since there won’t be any at the Asian Cup. AFC Asian Cup 2015. Heh. 2015 AFC Asian Cup. Yay.